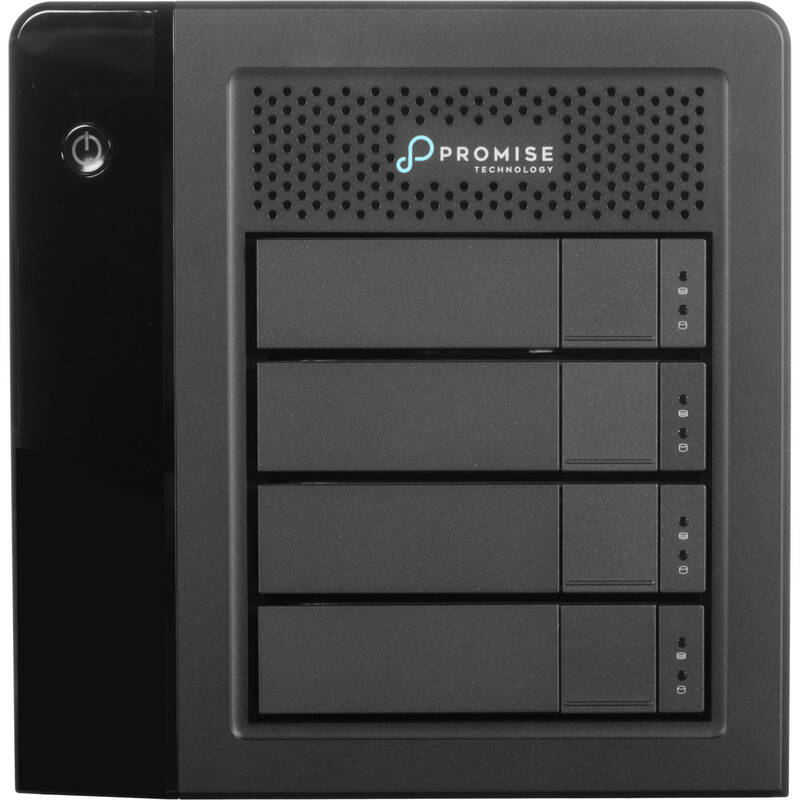 Designed to work with today's Thunderbolt 3 desktops and laptops running Windows 7 and 10, the Pegasus3 R4 PC Edition 12TB 4-Bay Thunderbolt 3 RAID Array from Promise Technology is suited for tasks such as loading large files and databases, archiving images and important data, processing surveillance data, and backing up huge data sets. It offers up to 12TB of storage split over four hot-swappable 3TB 3.5" hard drives, each of which utilizes one of the array's four drive bays. The array itself is equipped with two 40 Gb/s Thunderbolt 3 ports, allowing users to daisy chain additional peripherals, such as dual 4K displays or a single 5K display. The Pegasus3 R4 comes preconfigured in RAID 5, but supports a variety of hardware-controlled RAID modes, including RAID 0, 1, 6, and 10, each of which offers speed, data redundancy, or a combination of both. For those who do not require a RAID, JBOD is also available. Please be aware that RAID 0 does not support hot-swapping. 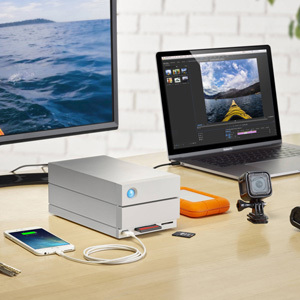 Included is a 3.3' Thunderbolt 3 cable and a power adapter. Protection is provided by a limited 3-year warranty, with 24/7 web and chat support also being available. Also included is a free license of ChronoSync Pegasus Edition Backup Software for macOS. Box Dimensions (LxWxH) 14.0 x 13.5 x 11.9"
Pegasus3 R4 PC Edition 12TB 4-Bay Thunderbolt 3 RAID Array (4 x 3TB) is rated 5.0 out of 5 by 1. Rated 5 out of 5 by Keith from Loud but effective This is considerably louder than my Razer Blade Pro with the fans cranked while rendering 4k and 5k video.? It also works well to heat my office in the cold rocky mountains.? I would buy it again though and am happy with it.? The Promise Utility software is easy and intuitive and I feel like even a moderately computer literate individual could set up this system and use it effectively. A) Can I reformat the drives to work with Mac and PC? b) Can I use it as a mini-server or just not fast enough? A) The drives can be formatted to Mac or PC file systems via the Promise Pegasus Application. Fat32 or ExFat can be used for cross compatibility. B) This depends entirely on what kind of server. As a file server this functionality is native in the JBOD setting. As any other kind of server, it would most likely require flashing a custom OS and that is currently not supported.